Ace travels to Atlanta this March. We’ve got Georgia on our minds! Join us in Atlanta at the Ace 2017 Spring Convention & Exhibits. You’ll be amazed at all we have to offer — from booths and training opportunities to networking and entertainment. Register today and get excited for what we have in store! Whether you’re looking for hands-on displays and demonstrations or face-to-face conversations and training, we have it all! Come early for Pre-Show Training on March 15 and stay for the Retail Training Theater throughout the convention. 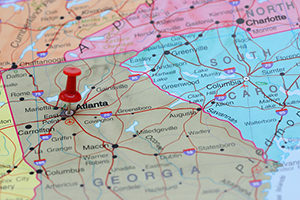 Visit more than 1,200 exhibitors at the Georgia World Congress Center. Only at the Ace show can you check out new items and exclusive deals. Come experience savings that are out of this world in popular areas, such as New Arrivals, Power Buys and the Savings Showcase. The Discovery Edge area is always a big hit and in Chicago, it was the No. 1 visited booth, according to survey results. In 2017, it returns bigger and better than before! The one-stop shopping experience continues with more than 40 in-demand Level 1 and 2 programs, each with great incentives that will save you big money. Come see country music artist Darius Rucker at Ace After Hours! 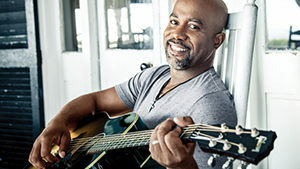 Grammy-award winning music artist Darius Rucker will perform at Ace After Hours. The Carolina-native co-founded pop band Hootie & the Blowfish before crossing over to the country music world, where he now has four solo albums. Get your tickets to this “Southern Style” Ace After Hours before they’re gone! Atlanta is jam-packed with notable history, exciting activities, delicious dining options and more. Go through the world’s largest drive-in restaurant The Varsity for some classic favorites, or order up slow-cooked meats with all the fixings at Twin Smokers BBQ. Check out some of the city’s featured sights, like World of Coca Cola, the Georgia Aquarium and Centennial Olympic Park — the site of Atlanta’s 1996 Summer Olympic games. And if you’re feeling festive, find a local pub to celebrate St. Patrick’s Day on Friday, March 17. So what are you waiting for? Register now for your 2017 Spring Convention & Exhibits badge(s) and to sign up for Retail Training sessions and Ace After Hours. You also can call 888-408-6742 for assistance. The pre-registration deadline to get badges and event tickets in the mail is February 10. Discover more about Atlanta and receive an early welcome from Mayor Kasim Reed.